Real talk – skincare is amazing. The rise in self-care culture is frankly something we can very much get behind, especially when it promotes showing one of your most vital and hard done-by organs some love. One of the best ways you can show your skin that you appreciate it is by using the least harsh products possible – we’re talking natural, organic and cruelty-free. Not only is it good for you, but the environment wins too. Double happiness! To get you started, we’ve compiled five of our favourite natural skincare brands into a squeaky-clean list – so go forth and live your best life. Anyone who has ever suffered ‘barista hands’ would know that it’s a pretty strong motivator to find a solution, which is what Brisbane-based Erica Brooke did back in 2006 with her homemade healing scrub. Fast-forward to now and the clever babe has used her passion for all things natural and organic to create a skincare line that will have you glowing from within. The range is free from nasty additives like parabens, SLS, SLSE, propylene glycol, phthalates, fragrance, harsh alcohols and GMOs, and also utilises recycled packaging for extra green points. Erica also runs the occasional workshop on how to make your own products, so keep your eyes on the brand’s Facebook page for updates. If this article teaches you anything, please let it instil a belief that you don’t need chemicals for an effective clean. 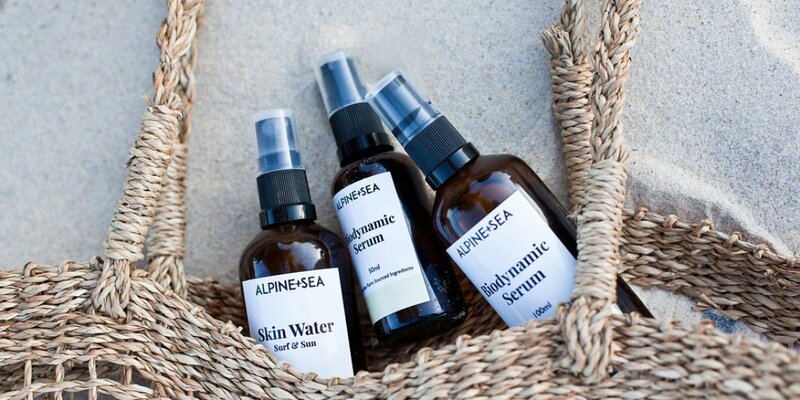 Alpine and Sea is proof of this, with creator Jen Plahm using nothing but fresh and natural ingredients to create the 100-percent vegan skincare line. Jen’s own issues with dry and irritated skin led her to do her own research and tinkering into skincare, as she was dissatisfied with the options available to her in the commercial market. Jen really walks the talk when it comes to ethical sourcing – she has personally scoured the country and forged strong relationships with small family farms, taking advantage of a yearly harvest to ensure all Alpine and Sea products remain as potent as possible. When a product can boast names like Emma Watson, Maggie Gyllenhaal and Brooke Shields as fans, you know it’s legit. 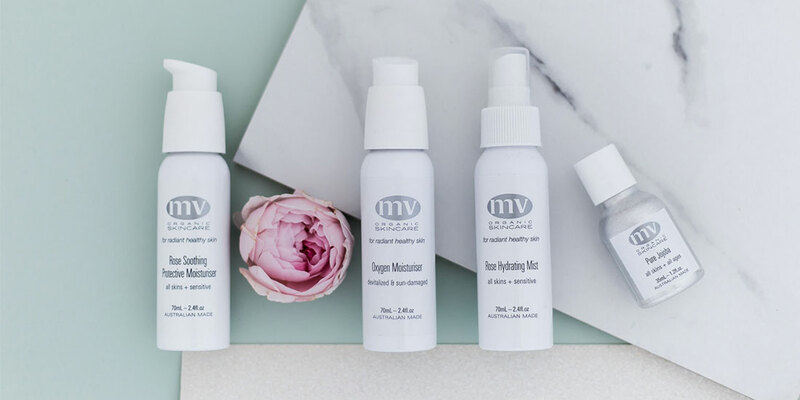 Sydneysider Sharon McGlinchey founded MV Organic Skincare in 1998 and has dedicated the past 20 years to creating the best products from the most pure ingredients, operating on the basis that using commercial skincare is akin to eating junk food every day. Sharon’s passionate belief in the power of aromatherapy and essential oils has led her to create a range of products that work on every skin type – even the most sensitive and intolerant. Real talk – skincare isn’t restricted to gender. Why should ladies be the only ones who get to enjoy a baby-soft face or to take advantage of the benefits of anti-ageing products? 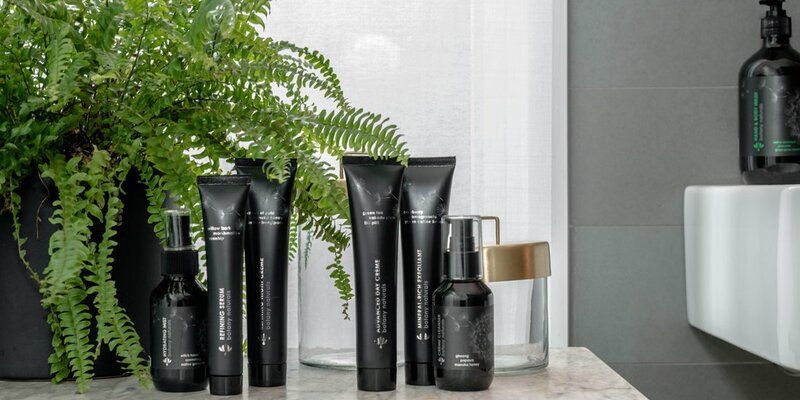 Botany Essentials has ditched the his-and-hers mentality to create a skincare line that works across the board, marketed exactly as what it is – gender-neutral products free from fuss, florals and feminine packaging. The brand’s premium Botany Naturals range is 100-percent plant-based and infused with pure essential oils and native Australian bush extracts such as Kakadu Plum and Lilli Pilli that possess natural UVA and B properties and are high in antioxidants, which assist in regenerating your skin’s cells. Who says science and holistic ideals can’t work together to create magic? 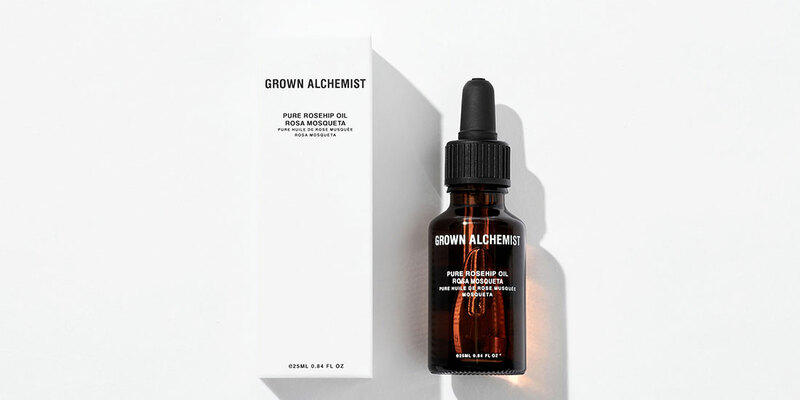 Grown Alchemist takes a different approach to natural skincare, using painstaking scientific research and chemistry combined with natural active ingredients to create its groundbreaking products. Australian brothers Keston and Jeremy started the brand in 1999, honing a perfect fusion point between biology and cosmetic chemistry. The duo unlocked important research that proved the continuous use of natural active ingredients directly improved skin cell health, and have built their products on this principle.